Armeria Rubrifolia, also known as Red Leaved Thrift. 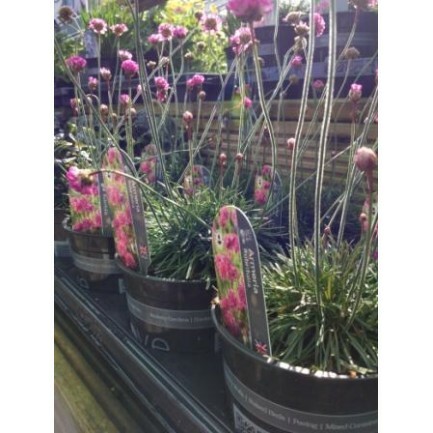 A perennial with grassy purple/black foliage in low mounds, this plant will bear vibrant pink globe-like flowers in late Spring/early Summer, lasting for several weeks. Hot and dry tolerant, this plant prefers full sun or partial shade and dry soil. Remove spent flowers to prolong blooming.